We’re excited to announce that S&A founder, Lynley Sides, has been honored with an Enterprising Women of the Year Award for 2013 from Enterprising Women magazine. 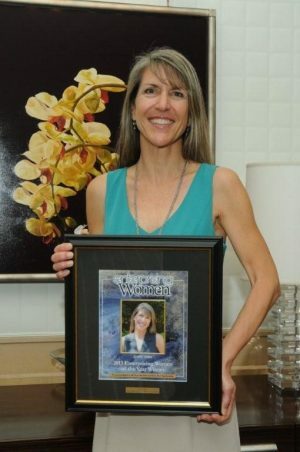 Lynley received this award for her work as founder and president of S&A and as CEO of The GlueNetwork. This award honors womenbusiness owners who have demonstrated that they have fast-growth businesses, mentor or actively support other women and girls involved in entrepreneurship, and stand out as leaders in their communities. Many of the award recipients are also leaders in key organizations that support the growth of women’s entrepreneurship. Winners will be recognized at the 11th Annual Enterprising Women of the Year Awards Celebration on April 3 and 4 at the Ritz-Carlton in Fort Lauderdale, Florida. I greatly respect Enterprising Women for its contributions to entrepreneurship and social issues. So this recognition supports my personal mission to help business leaders do more good for the world and also for their businesses. Enterprising Women, with headquarters in Cary, N.C., is the nation’s only women-owned magazine published exclusively for women business owners that chronicles the growing political, economic and social influence and power of entrepreneurial women. The magazine provides a friendly meeting place, a public forum and a national stage for the critical issues confronting women’s businesses and daily lives from the unique perspectives and experiences of entrepreneurial women. Published in both print and digital editions, the online edition of the magazine reaches nearly one million readers in 185 countries. For more information, please visit http://www.enterprisingwomen.com or call (919) 362-1551.